Bike Bell Motorcycle Bells or Ryder Balls? Get yours today. Does your Bike Have Bells or BALLS? Run Off Those Road Demons with RyderBalls and their unique Tone. 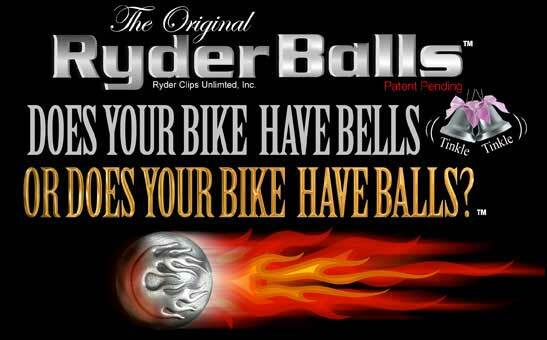 Ryder Balls motorcycle bells are sold in several designs. You can see on this page the many cool designs we have… and we are making more! 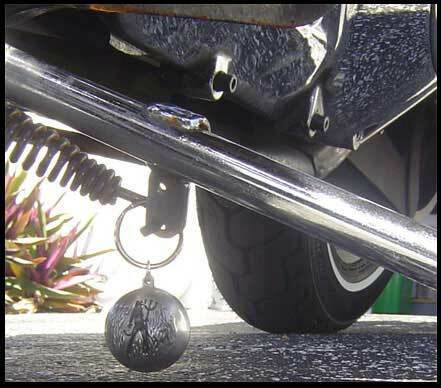 Attach the motorcycle bells to your bike to as a guardian to keep you safe while you are riding! Made of durable Zinc Alloy… these Balls are tough and Last a long time while looking great on your bike. Ryder clips bike bell motorcycle bells are called RyderBalls. Ryder Balls Ride Bells stop road demons for the rider.